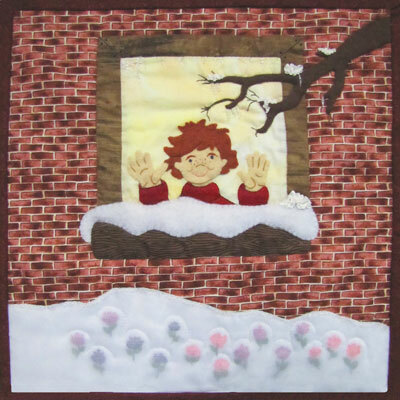 February 2007 Pattern "Where Are You Spring?". An appliqued and embroidered pattern. Four pages. 14" finished block.